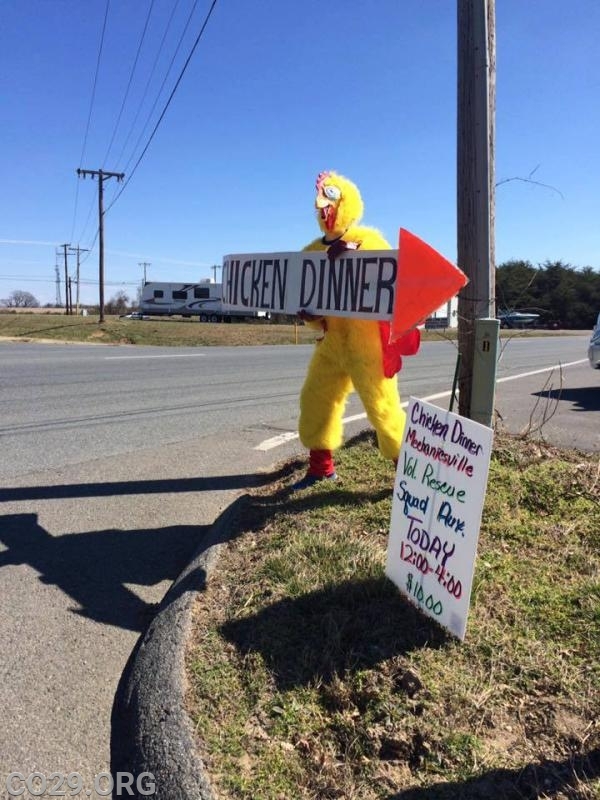 Chicken Dinner - Mechanicsville Volunteer Rescue Squad, Inc.
Sunday, March 31st the MVRS Auxiliary will be hosting it's annual Drive-Thru Chicken Dinner from 12pm-4pm. For only $10.00 you get 2 pieces of Rita B's famous Fried Chicken, Mashed Potatoes, Green Beans, Applesauce, Coleslaw & Roll. Come out and support the MVRS Auxiliary and get some delicious Rita B's Chicken!